NYC, 02/22/2019, 9:00PM. From the Capoeira and Bossa Nova to Jazz. 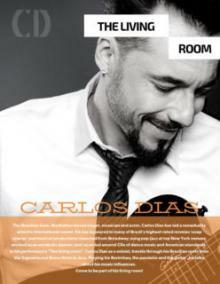 Musician and actor, Carlos Dias has led a remarkably eclectic international career. He has appeared in many of Brazil’s highest-rated novelas (soap operas) and musical productions imported from Broadway; sung pop-jazz at top New York venues; worked as an acrobatic dancer; and recorded several CDs of dance music and American standards.